The new exhibit at the Philadelphia children's museum, Let's Play, isn't meant to be shocking-but when one of the installers is zapped with a fatal electrical charge, it's up to Nell to put her detective skills on display. A short prequel that started Meg Corey's mysterious adventures on the apple orchard in the small town of Granford, Massachusetts. Out of a job and living alone in a drafty Colonial house, Meg Corey is supposed to be fixing the house up to sell, but now she's got the flu and she's freezing and she feels very sorry for herself. Then Deborah Warren shows up to distract her—but is Deborah a ghost, or just the product of Meg's feverish imagination? Choosing to believe that Deborah really is a ghost, Meg sets out to discover the truth of why she's been around for 200 years and help her find home. 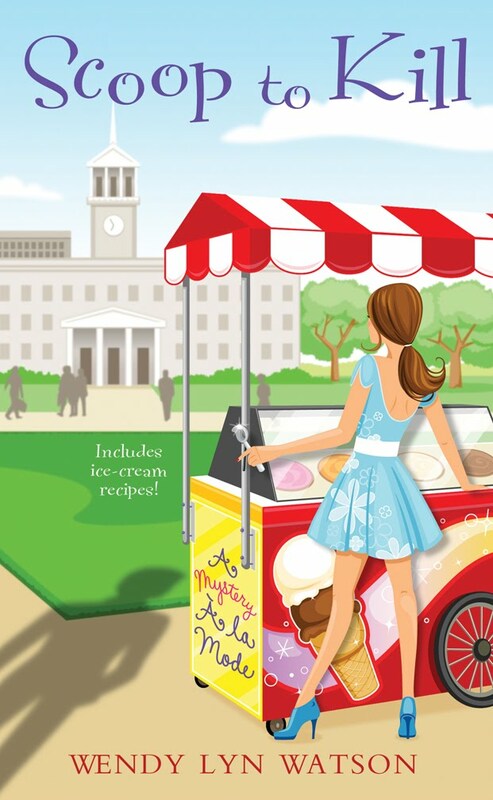 To celebrate National Ice Cream Month, Killer Characters is hosting an ice cream-themed giveaway. All you have to do is sign up to receive our newsletters (by filling out the information in the "Sign Up for News and Offers" box in the left-hand column). 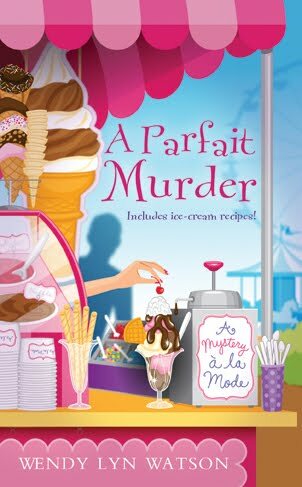 On August 1, we'll randomly select one member from our mailing list to receive all three "Mysteries a la Mode" by Wendy Lyn Watson AND a Zeroll ice cream scoop. The winner will be announced on August 3 and will have one week to claim their prize; after that, an alternate will be selected. Offer limited to U.S. residents. I can't wait to read all these wonderful books. I preordered my copies of all these books last week. Just downloaded Sheila's prequel. Now I just have to find extra reading time! What a wonderful crop of new mysteries! I'm excited! Lovin' these titles!!! And I have been a faithful subscriber for some time now. Under VWinship at aol dot com.....keeping my fingers crossed. Got the prequil today and the rest are on my list to buy.